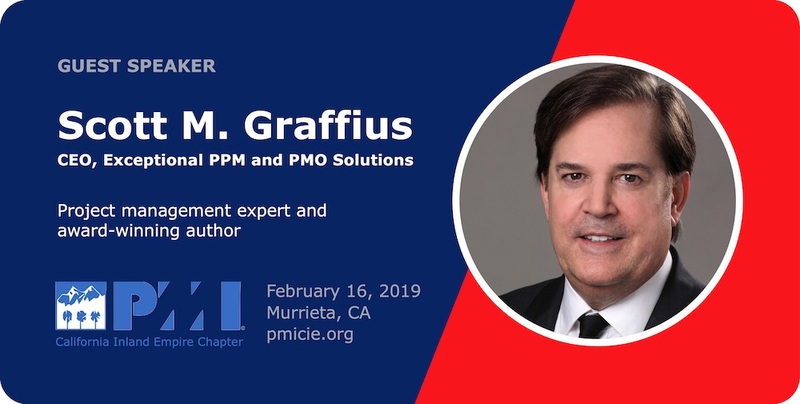 Scott M. Graffius, CEO of Exceptional PPM and PMO Solutions, spoke at an event of the California Inland Empire Chapter of the Project Management Institute (PMICIE) on February 16, 2019. 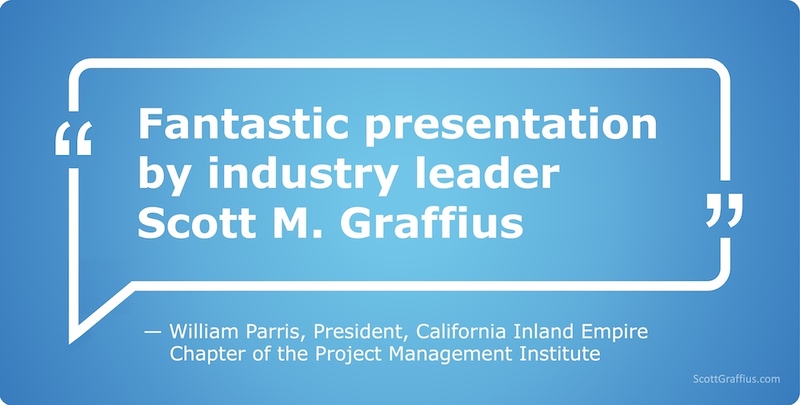 He presented "How to Deliver Your Projects with Faster ROI, Competitive Advantage, and Additional Benefits Using Agile Scrum" to a highly-engaged audience of project management professionals. This was Graffius' second talk at the chapter.